The GeoTag Images screen (Analyze > GeoTag Images) allows you to geotag images from a survey mission using information in the flight log. This feature only works with PX4 flight stack logs. ArduPilot is not supported. 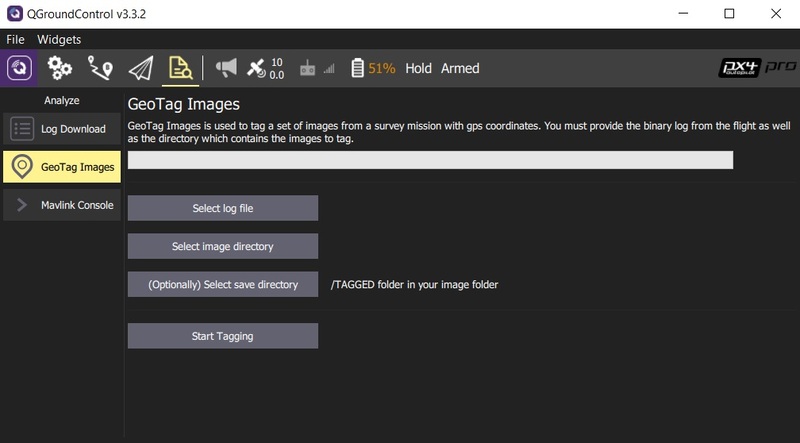 Select the log file, image directory and (optionally) output directory for geotagged images using the buttons provided. Click Start Tagging to generate the geotagged images.